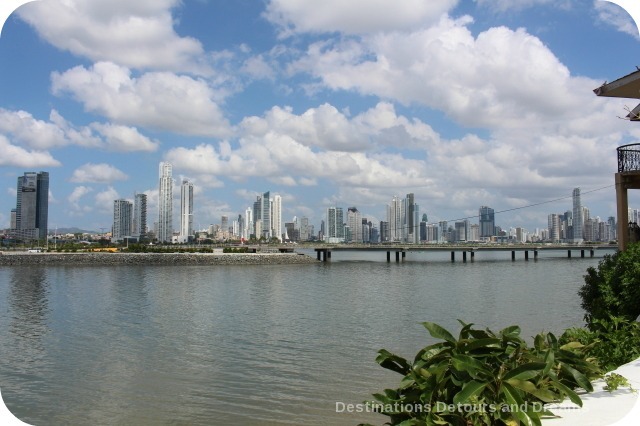 When you see the clusters of white skyscrapers in the skyline of Panama City, Panama, it is easy to forget that Panama City is actually an old city, founded by the Spanish in 1519. 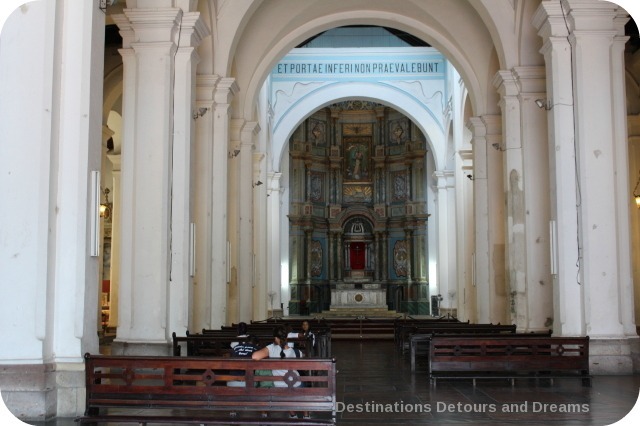 But in the colonial city centre of San Felipe, more commonly known as Casco Viejo, you walk through the city’s history. Casco Viejo fell into decline in the middle of the twentieth century. In 1997 it was declared a Unesco World Heritage Site and renovation began. The best way to explore this area is on foot. Streets are narrow and some are closed to vehicular traffic. The area includes restaurants and cafés, offices, apartments, and craft markets. Note that it is not very handicapped-friendly as street surfaces can be uneven and some of the curbs are quite high. 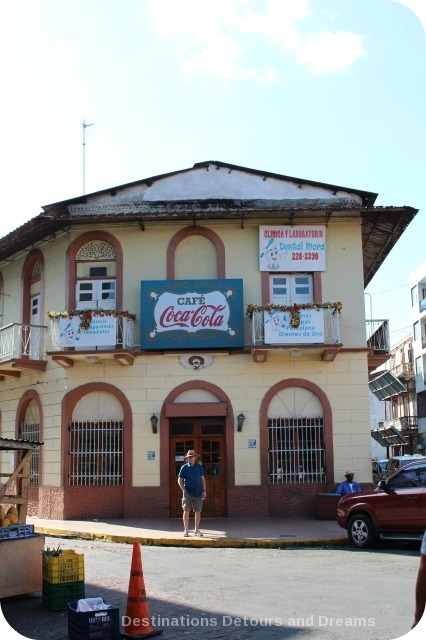 We started and ended our self-guided walking tour of Casco Viejo at Café Coca-Cola, an old-school diner on the outer edge of the Casco Viejo area. It boasts of being the oldest café in the city, established in 1875. Famous diners included Che Guevara. It also seems to be a gathering spot of older Panamanian men who sit and visit over coffee. The area is home to the Palacio Presidencal (Presidential Palace) which is the government office and residence of the President of Panama. The Palace was originally built in 1673 for an unscrupulous judge who embezzled state funds to furnish his mansion. The building was later a customs house, a teacher training college, and a prison before being rebuilt in 1922 as the presidential palace. Streets around the place are blocked off and guarded, but pedestrians are allowed access via Calle 5 during the day to view the exterior. I’ve read that free guided tours are available if pre-arranged via a letter in Spanish suggesting possible dates. I did not attempt to arrange a tour so cannot vouch for this myself. In the seventeenth and eighteenth centuries, the Plaza was used for bull fighting and theatrical shows. It became a park at the end of the nineteenth century. 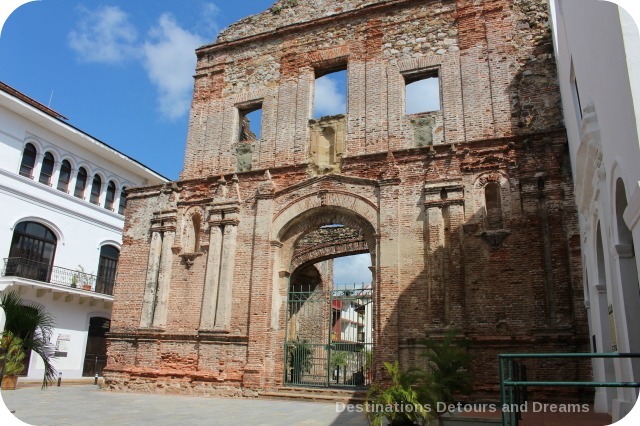 La Catedral, built between 1688 and 1796 using some of the bricks from the ruins of Panamá Viejo. Three of its bells were recovered from its ancestor. 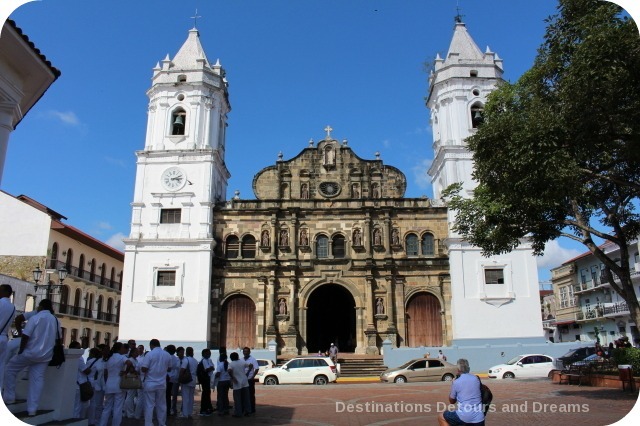 Iglesias de la Merced is the city’s oldest church, reconstructed in 1680 using original stones from Panamá Viejo. Inside a restored three-storey French colonial building is the Museo del Canal Interoceánico (Panama Canal Museum) which offers a comprehensive look at both the French and U.S. endeavours to build the Canal. In addition to information about the engineering aspects, the museum has a strong focus on the human factors – life in the Canal Zone and the apartheid living conditions of gold and silver workers. There is also information on the deteriorating Panama-U.S. relations which led to the eventual handover of the Canal from the United States to Panama. 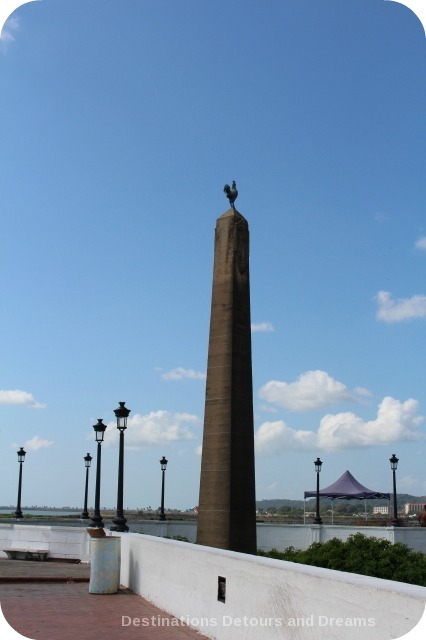 The first section of the museum takes a look at Panama history in general, well before the Canal was even considered. There is a lot of text in Spanish. Headsets with taped English information are available and the small fee is well worth it. The top floor holds an impressive collection of photographs across the years. The building itself once held offices of the French Canal Company and the U.S. Isthmian Canal Commission. 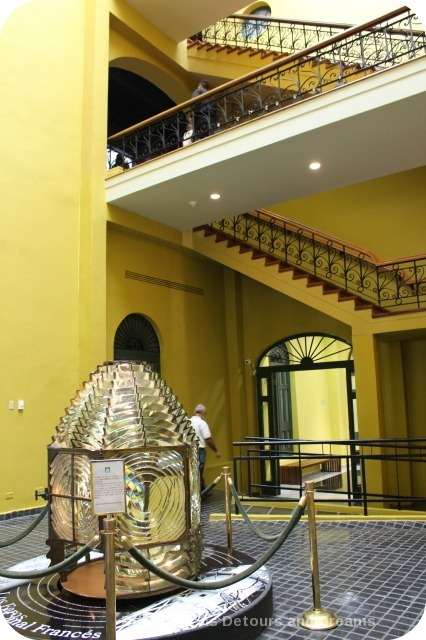 Panama Canal Museum entry area containing an original beacon from a 1870s lighthouse. The beacon was designed by Gustave Eiffel of Eiffel Tower fame. A bougainvillea-covered promenade sits atop of what were the ramparts, the defensive sea wall. 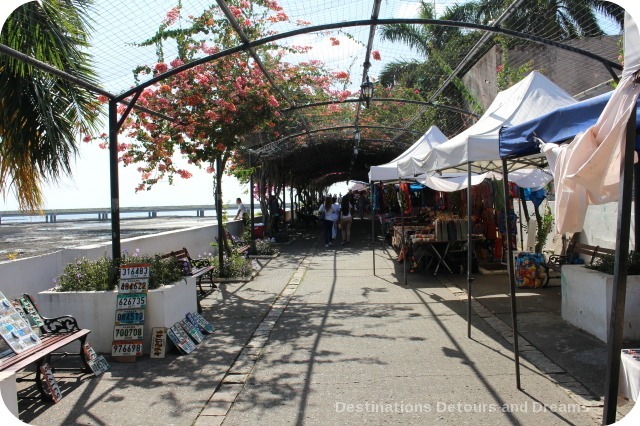 The shady walk provides a respite from the sun and great views of the water and the newer parts of Panama City. Booths along one side offer crafts for sale. 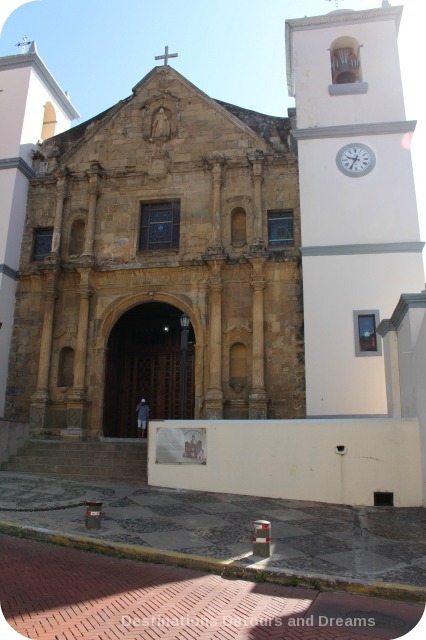 The Santa Domingo church and convent were completed in 1678. Restoration work is ongoing. 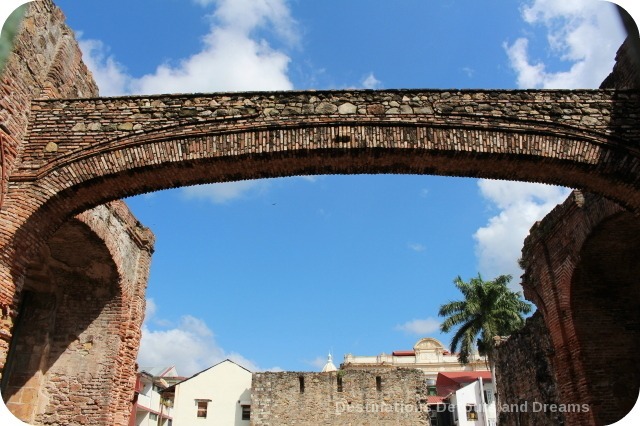 It is famous for its Arco Chato, a flat arch over its entrance which spans 15 metres with no external support. It was reputedly cited as evidence of Panama’s stability when debating where to build the Canal amid concerns of earthquakes and volcanoes. The arch collapsed years later, in 2003, but has since been rebuilt. 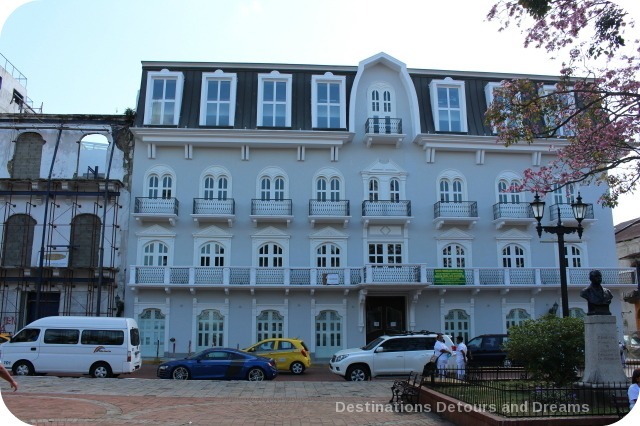 Casco Viejo is located in the southwestern tip of Panama City. It is easily reached by taxi from anywhere in the city. Taxis are lined up at the edge of the area, ready for your return trip. When you inquire about the fare, you are likely to be quoted a higher price than your trip to the area. If you are so inclined, you can bargain to get the lower price. Another option for getting to Casco Viejo is to take a bus or the Metro to Plaza Cinco de Mayo and walk up Avenida Central. The walk takes you through one of the least safe areas of the city. Some guides I read suggested the walk as the best way to get to Casco Viejo. 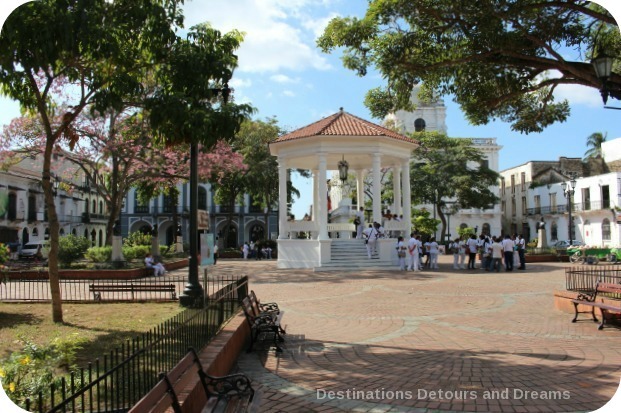 Others advised against walking through any of the areas bordering Casco Viejo. We chose to take a taxi. No matter how you decide to get to the area, it is worth visiting. We rented an apartment in Casco Viejo just down the street from the Presidential Palace. 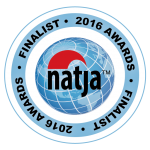 It was one of the best, most economical rentals we’ve ever experienced. Loved this area of town, although 3/4 of it seemed under restoration when we visited a few years back. I love discovering the original cities when modern skyscrapers have surrounded them. 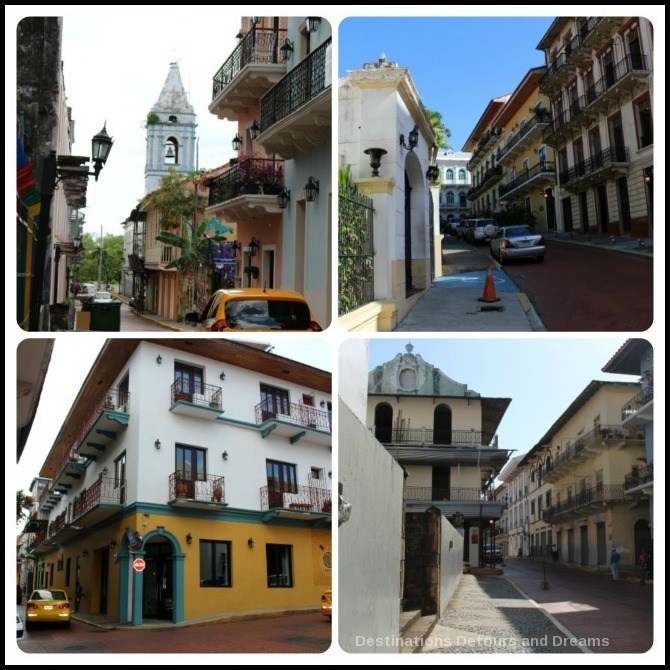 Casco Viejo in Panama City looks like a wonderful visit. I didn’t’ realize the founding date of 1519, a full 101 years before other Europeans reached the eastern shores of the U.S. Fascinating. Betsy, I found Panama to be a city of contrasts in so many ways, the most obvious being the mix of the modern tall straight-lined skyscrapers and the history and colonial architecture in the old part of the city. Definitely fascinating. Anita, what a great way to end your time in Panama. I too loved the contrast of the falling down buildings next to the restored ones. As i mentioned in another comment reply, I found the entire city of Panama to be full of contrast. 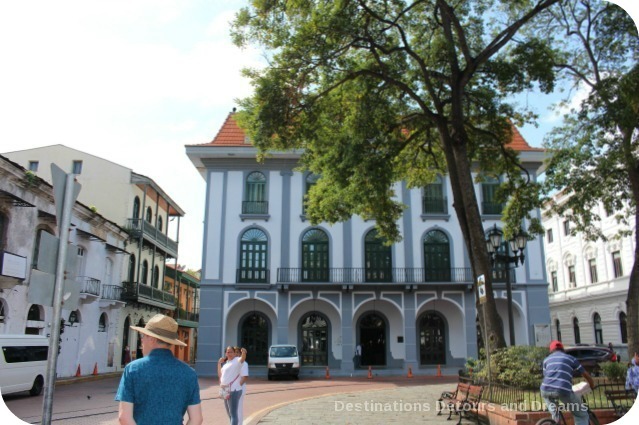 Casco Viejo has such a rich history! As always, your pictures provide a beautiful tour. Amazing how these cities rebuild themselves yet retain little bits of time. Thanks Jacquie. It is great that cities can rebuild themselves but retain bits of their history too. Love the looks of the American Trade Hotel; I always like to imagine myself set up in one of those type hotels writing ‘my (ha, ha) best selling book’! And the Coca Cola café would draw me there all the time – any place where old men gather for coffee is an attraction worth experiencing. Great post, Donna. The American Trade Hotel would be a great place to set up and write a book, wouldn’t it, as long as we allowed the setting to inspire instead of distract us. 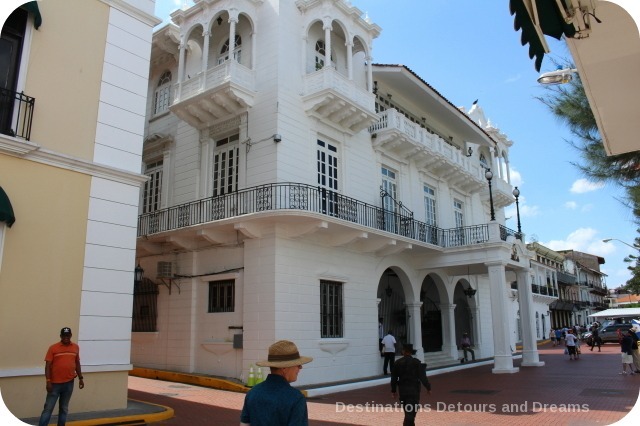 Casco Viejo in Panama City looks an amazing place to tour – and that you can go on foot would appeal to us. I’d be really interested in the history of the Panama Canal and would visit the Museo del Canal Interoceánico for sure. Looking through your photos I get the impression that Panama has greatly cleaned up its Casco Viejo. When we visited in 2008 there were mostly crumbling houses, facades full of black mildew, and boarded up doors and windows. I though it was a shame that everything concentrated on the new shiny highrise buildings towards the south. 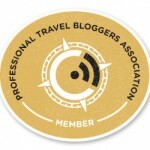 Such a contrast to Cartagena in Colombia, our next destination after Panama! Juergen, I think Casco Viejo has cleaned up quite a bit since 2008. There are still some buildings in need of restoration but they are outnumbered by the ones restored. 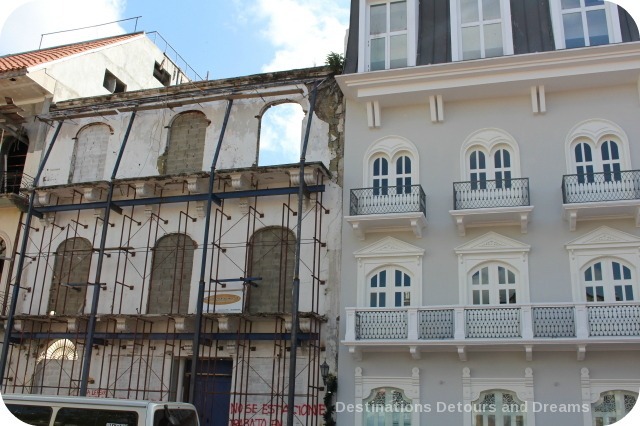 Sadly, just outside the boundaries of Casco Viejo buildings are mostly crumbling and derelict. Hi Donna, what a wonderful history rich city. The photos are beautiful. It is do pristine, it almost looks unreal. Like a movie set. Susan, parts of the area really do look like a movie set. Casco Viejo was very clean. Some other parts of Panama City less so. I love doing self-guided walking tours. 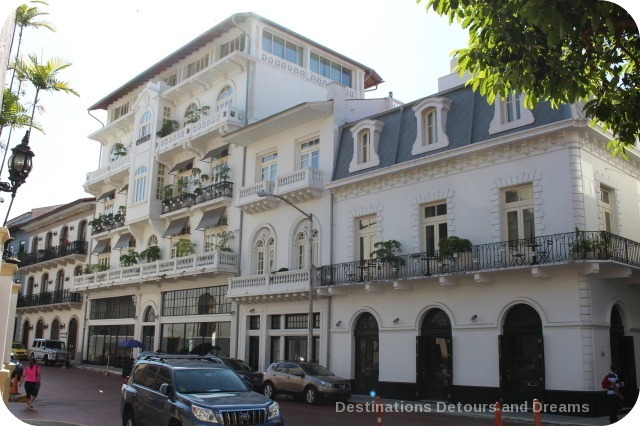 The one here of Casco Viejo looks quite worth it. Your posts are increasingly making me aware of how little I am familiar with central and South America, so thanks for bringing such charms to my attention. Jeri, I am not very familiar with Central or South America either. 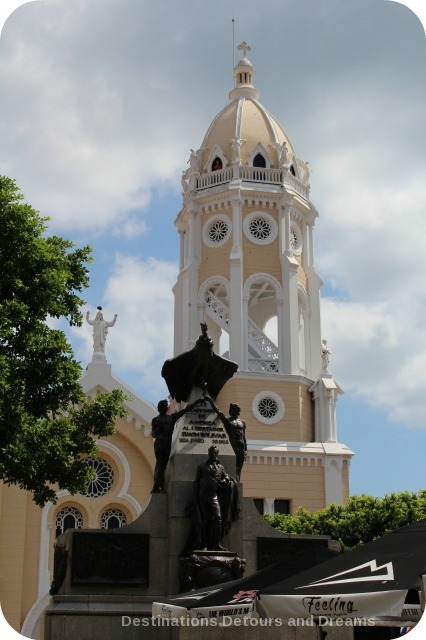 Panama was my first visit to the area and has piqued my interest in other countries. What a beautiful preserved area. Still dying to get to Panama, would have to have going through the canal as part of the visit just to check it off the bucket list. Veronica, although I saw locks of the Canal in operation I didn’t travel through the Canal. I think that would be very cool and would like to do that someday. It’s great to see that they’re preserving those lovely old buildings! I love the contrast you illustrate between Casco Viejo and the modern Panama City visible in the distance. Rachel, I was mesmerized by the contrast between the new skyscrapers and the restored buildings of Casco Viejo. It felt so odd to stand amid the colonial architecture and see the modern city. Love the photographic tour of such a vintage city center. It looks like a lot of care is being taken in the restorations, which should pay off for them in more tourists. It’s a shame you have to worry about some of the areas you walk in, but I guess that’s life in bigger cities. My only visit to Panama City was on a cruise ship port stop. As our shore excursion for that one day we chose to visit the Canal Zone which was very interesting, but we missed Casco Viejo. 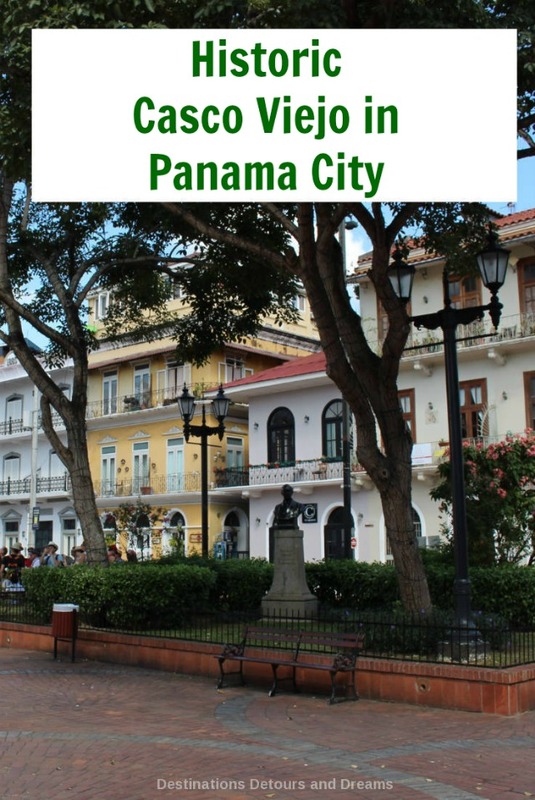 Thanks to this post, I would definitely consider another, more comprehensive visit, to Panama City. The old colonial centers of many Mexican, and Central and South American cities and towns are well worth exploring in my experience. 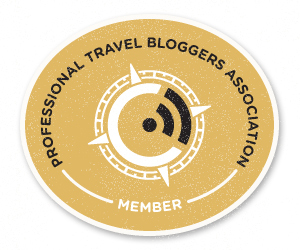 Suzanne, I did not see the Canal Zone and think that would be on my list if I visited Panama City again. Bill has been telling me of his trip to Panama before we even met. Finally, you gave me the views in awesome photos and detailed story-telling. 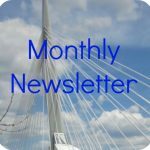 Thanks again for your awesome post. Now Bill has to take me! Carol, I’m not sure how long ago Bill was in Panama but it would interesting for you to visit with him and find out what changes he notices. 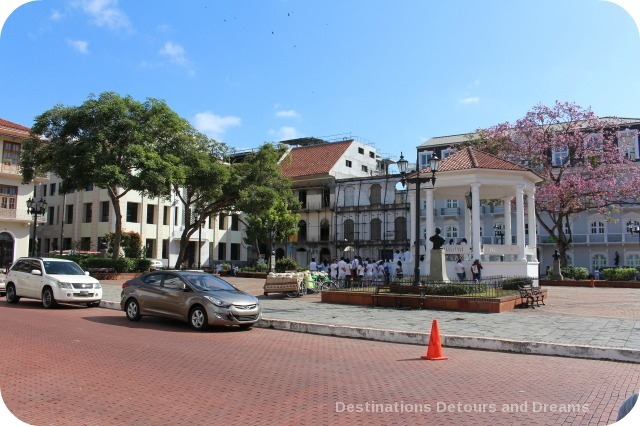 I love Spanish colonial cities- Panama City’s Casco Viejo looks wonderful. You’re making me want to go to Panama! Billie, Spanish colonial architecture is beautiful, isn’t it? Irene, as I understand it was the UNESCO designation that prompted the restoration in this area.It is nice to the history preserved. 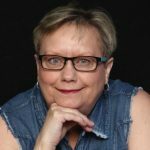 Donna, your photos and story telling really brought me there. I’m definitely getting to Panama sometime soon. We just haven’t spent enough time in Central and South America. Corinne, I’m glad I was able to make you feel as you were there. This was my first trip into Central America and I’ve never been to South America. It made me want to see more of the area.